The Porsche 911 GT2 RS is the new “King of the Ring”. 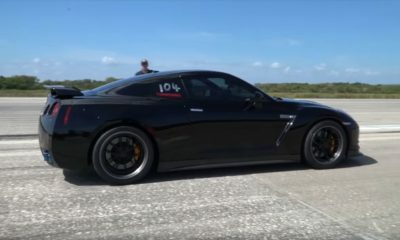 The GT2 RS destroyed the lap record set by the Lamborghini Huracan Performante a few months back. 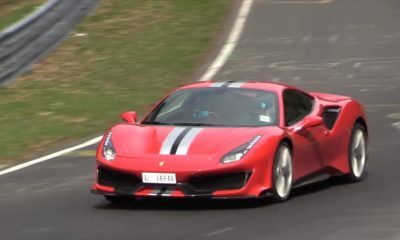 It lapped the Nurburgring Nordschleife in 6 min 47.3 sec setting a new production car lap record. Porsche was actually aiming for a 7 min 5 sec lap but it was soon realized that the car was able to clock sub-7 min laps consistently. Porsche factory drivers, Lars Kern and Nick Tandy set individual lap times in two GT2 RS’ further cementing the fact that the 6 min 47 lap wasn’t by fluke. This means, the 911 GT2 RS is quicker than its million dollar sibling, the 918 Spyder.